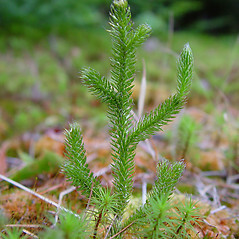 Lycopodium lagopus (Laestad. ex Hartm.) Zinserl. 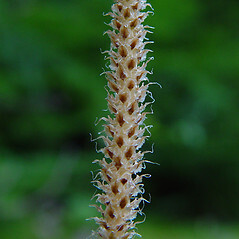 ex Kuzen. 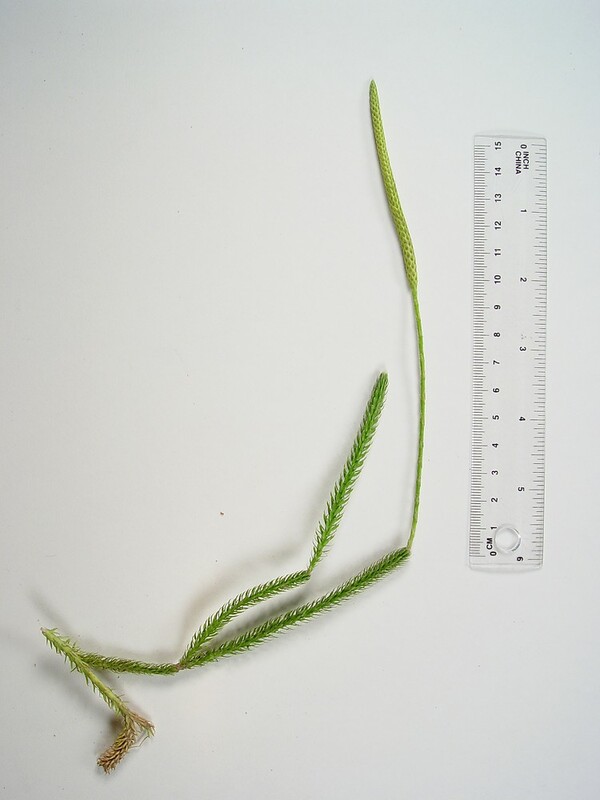 One-cone clubmoss is much less common than its sister taxon common clubmoss (Lycopodium clavatum), and found in the more northern and higher-elevation portions of New England. 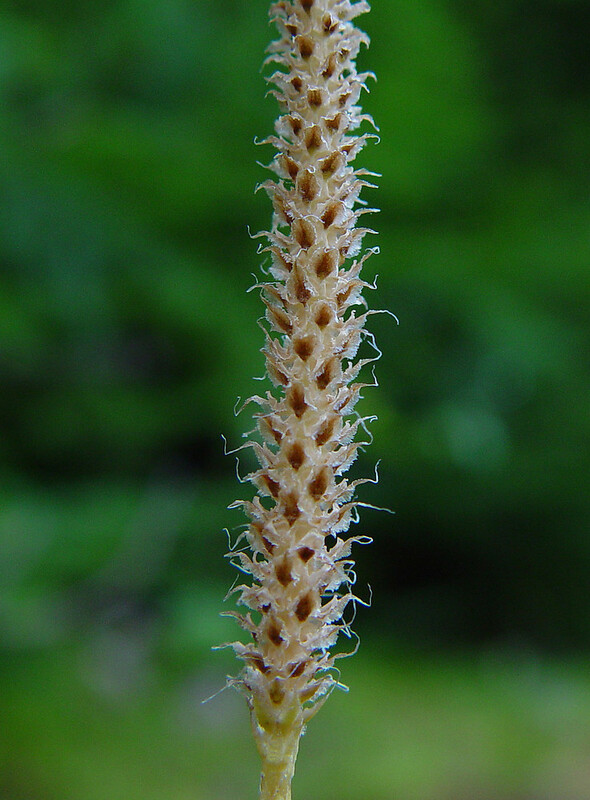 spore cones borne 1-5 together, when more than 1 than each with a separate, stalk-like branch (vs. L. lagopus, with spore cones borne singly or in unstalked pairs). 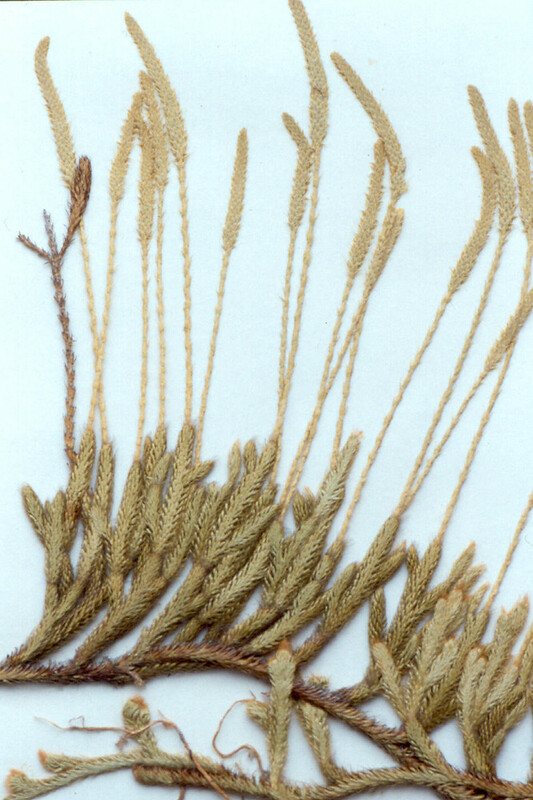 Note that L. clavatum and L. lagopus sometimes occur together. 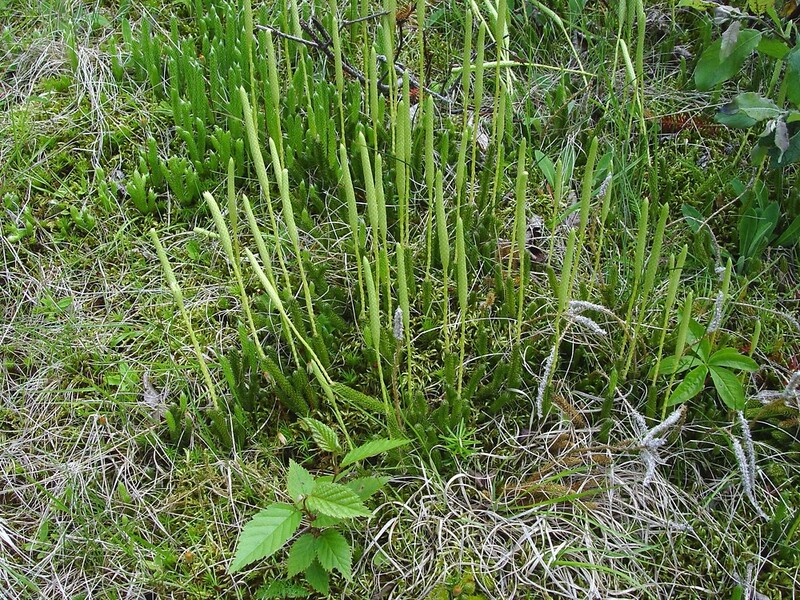 When they do, L. clavatum has lighter green leaves that spread more and releases its spores later than co-occurring L. lagopus. 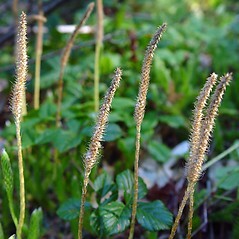 Lycopodium clavatum var. lagopus Laestad. ex Hartm. 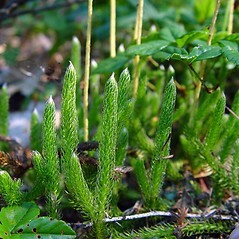 Lycopodium clavatum var. monostachyon Grev. & Hook. 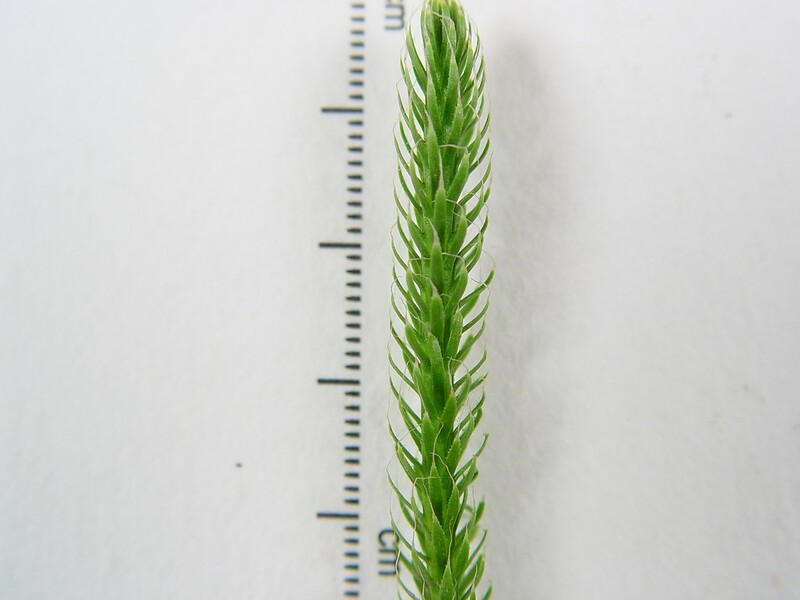 one-cone clubmoss. 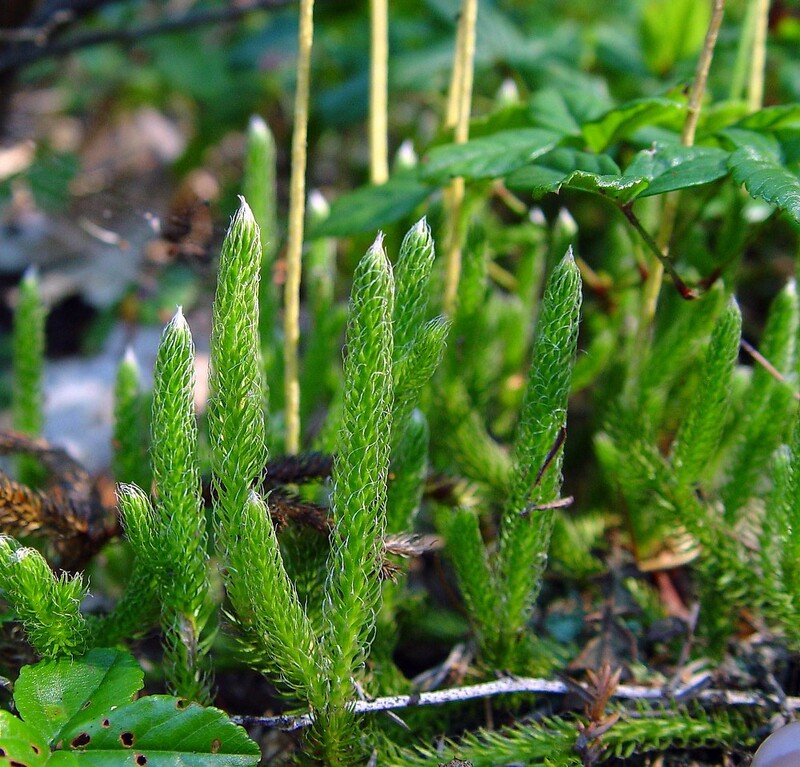 Lycopodium clavatum L. ssp. monostachyon (Hook. & Grev.) 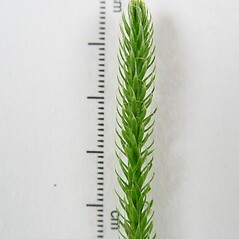 Selander; L. clavatum L. var. lagopus Laestad. ex Hartm. 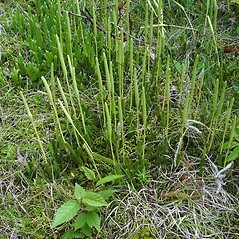 ; L. clavatum L. var. 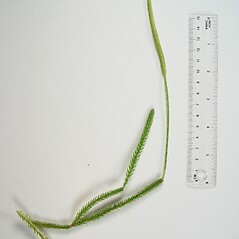 megastachyon Fern. 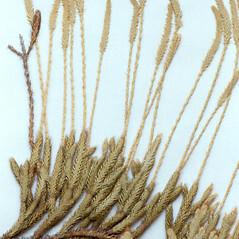 & Bissell; L. clavatum L. var. monostachyon Grev. & Hook. • CT, MA, ME, NH, VT; primarily of northern New England, becoming rare to the south. Fields and forest openings and borders. 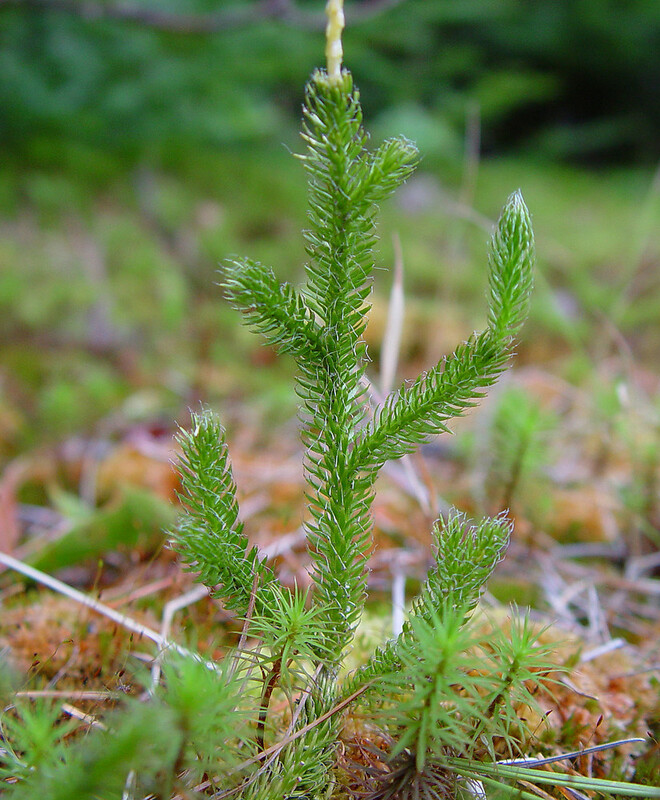 Lycopodium lagopus has a more northern distribution that its sister species, L. clavatum. 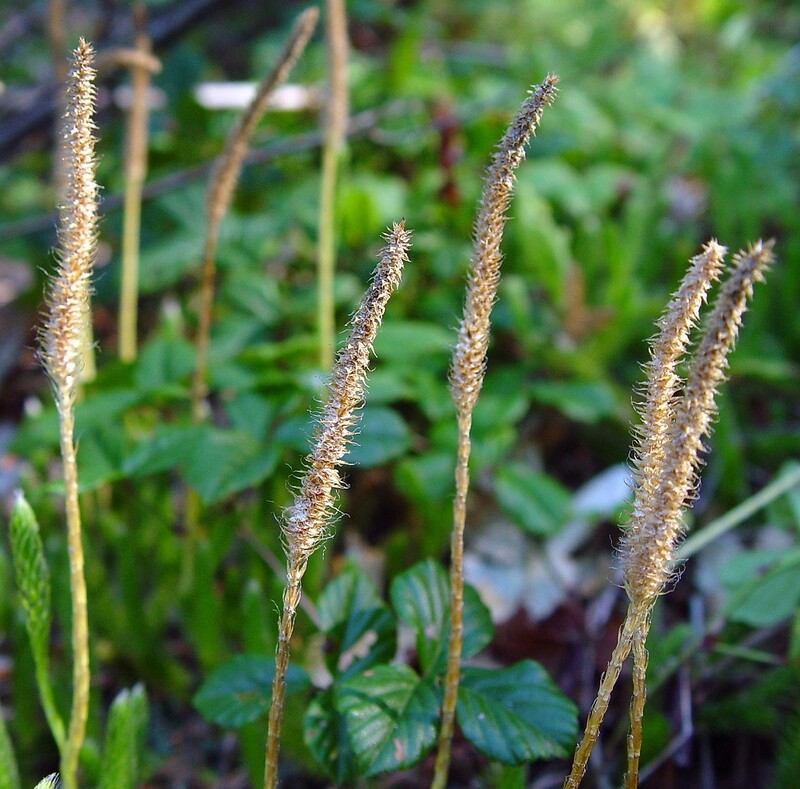 Intermediate forms between these two species do exist, but whether they represent intermediate morphologies or hybrids has not been determined.